A Dutch news site provides lessons on how membership associations can involve readers in content creation. De Correspondent was launched in 2013 through a crowd-funding campaign. It is now expanding into the U.S. market. 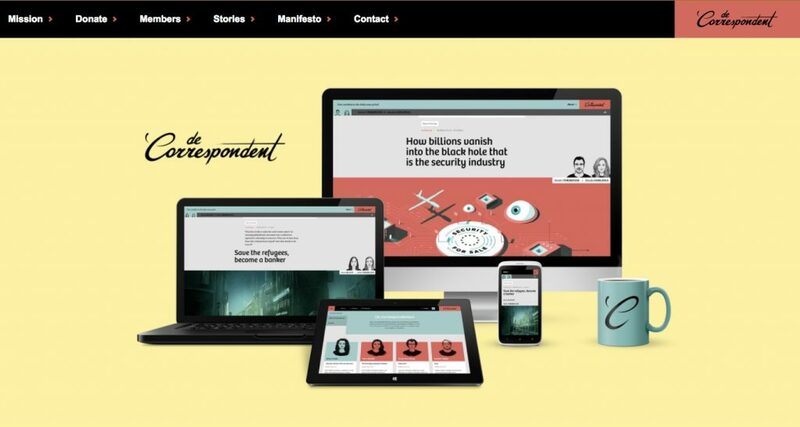 DeCorrespondent is an ad-free, membership-based, two-way journalism model. It shuns a passive style of providing readers with content. Instead, journalists reach out to their members—56,000 of them in Holland —to ask for potential sources and information on various topics. In the podcast, Pfauth gives the example of a music journalist who was planning to research the power of music publishers. The writer asked members to respond if they had any information on the topic or worked in that industry. Readers began chiming in with sources—but also insight about how the music industry works. How do you involve your members in content creation? Isn’t this what good membership associations do? Or should be doing? How do you find your sources for magazine articles? Are you contacting to the same over-used committee leaders or longtime, well-known experts or active members? Instead, membership associations should put out a content creation call for sources in your regular e-newsletter. Plan ahead and regularly ask for contributions on specific topics in your print magazine. Continually monitor social media and your online communities to see what members are talking about—but also who is doing the talking. Look for members you haven’t heard from before, but also always consider diversity—in all forms. Look for men and women of color, LGBTQ members, millennials with fresh ideas, members who might have provocative ideas that go against the traditional way of doing things in your industry. Adding new, fresh voices livens up your writing and information. In turn, readers will be more interested. Engaged readers will talk about your content in social media and in your online communities. They may even send in a letter to the editor. All of that leads to more loyal and active members and opens the door to reach out to potential members. How do you involve your association members in content creation?